From prize money to international fame, sandcastle competitions draw enthusiasts from across the nation and across the world. We’ve put together a quick guide to help you build the ultimate sandcastle. So, grab your Getaround car, hit the beach, and give your inner child something to smile about. Check an item off our summer bucket list along the way for your chance to win up to $500 in driving credit. We’re giving away $25 in driving credit each week to make your next adventure that much sweeter. Start your adventure.Sign up to rent or list your car. Bring at least two buckets. You’ll use one to carry water and the other to mix together sand and water for your castle. If you have helping hands, bring at least one bucket for each person. Pro tip: Dig a water hole to save time. Fill up your water hole before you start building and only replenish when you need to. If you hit water before you’re done digging, you won’t need to refill at all. Use your shovel to dig up sand for your castle. 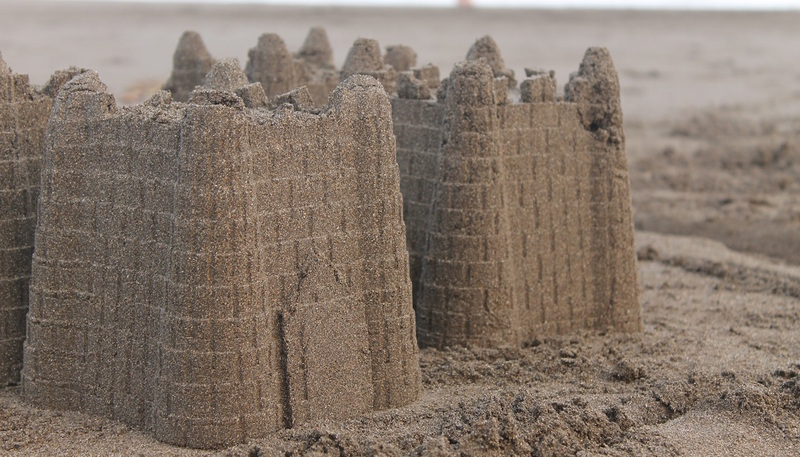 If you want to build a castle with any height, you’ll need a lot of densely packed sand. 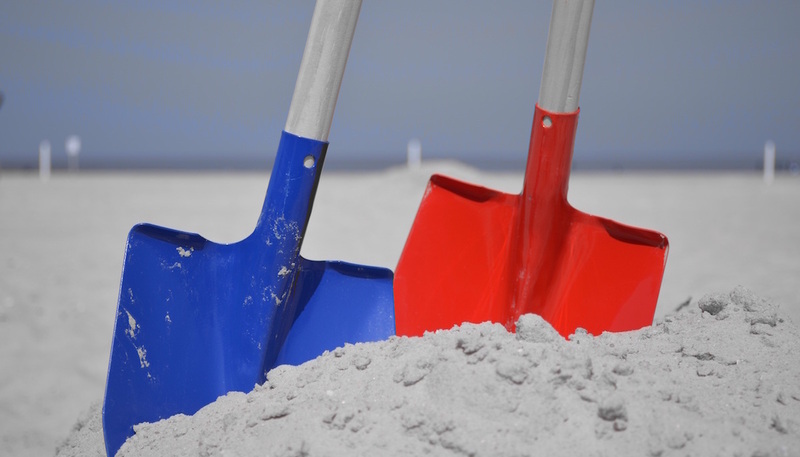 Long-handed shovels will speed up your work, but any tools you can use to scoop up sand will do. Grab what’s useful from your kitchen drawers to shape your sandcastle. Use spatulas and plastic knives to shave the edges of your castle. Cut out windows using measuring spoons or ice cream scoopers. For your finishing touches, bring a paintbrush to smooth surfaces and a straw to blow away loose sand. The key to building a sandcastle is water, lots of it. 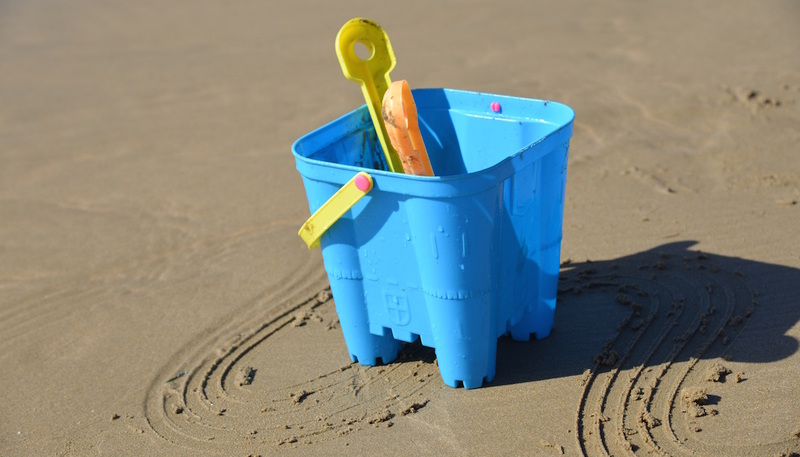 Prepare to build your sandcastle by mixing together one part sand and one part water in one of your buckets. Dry sand won’t stick together, so keep any sand that you’re using wet. Once you’ve created your sand-water mixture, use your hands or a garden spade to scoop out handfuls of wet sand. Don’t try to dump out the entire bucket of wet sand at once. The excess water will create a vacuum seal when you turn your bucket upside down, and it’ll be very difficult to get the sand out. As you start to shape your castle into its final form, use your hands and feet to pound the sand into dense sections. The more compact your building material, the better the sandcastle will maintain its shape. If you plan on building more than a simple sandcastle, sketch out the base of your sandcastle on the sand before you start building. Your sketch will allow you to keep track of how much space you’re working with and how much you have left to build. Pro tip: Bring a paint stirrer for more intricate designs. Sketching out your sandcastle with a paint stirrer will let you attend the finer details. Mound up enough sand to shape the base of your sandcastle. You’ll be carving the foundation of your castle out of this mound, so make sure it’s wide enough and tall enough for your build. The easiest way to create the base of your castle is to mound up sand, poke deep holes in your mound, and pour water into the holes. Stomp on the sand to stabilize your mound and get rid of the excess water. Mix together sand and water in one of your buckets to build the finer elements. You can also hand-stack the sand, if you want more control over your sandcastle. Instead of creating one large mound, create your sand-water mixture first and use large handfuls of wet sand to create the foundation. Once you’ve plopped the sand in place, gently jiggle the sand until it looks consistent with the layer underneath. Use a spatula or plastic knife to carve the base of your castle into shape. Go slowly and start at the top, so that loose sand doesn’t affect any carving below. Brush away any unwanted sand with a paintbrush. Once you have the basic structure down, build your towers. Your towers will be the main decorative element of your castle. Aim for patty shapes when creating your towers. Ideally, you’ll want to layer the patties right on top of each other until your tower is complete. After you build your towers, tackle the walls of your castle. You can use walls to connect your towers. If you’re feeling adventurous, you might choose to build tunnels or staircases between your towers. When building your walls, use your hands to create “bricks” of sand and stack the bricks on top of each other. You can also scoop out windows, doorways, and arches using your measuring spoons or ice cream scooper. Remember to carve conservatively; once sand has been carved away, it’s difficult to replace. You’ll want to carve in long strokes to keep the surface of your castle smooth. Originality: How unique is your castle? Execution: How well is your castle built? Theme: How well does your castle fit the theme? To win, you’ll need to outshine your competitors. So, hit the beach and get practicing.